Taishoken Ramen at 515 Abbot Street in Vancouver. Tsukemen ramen (aka dipping ramen where the noodles are served on the side). Having the noodles and toppings served on the side ensures that nothing gets over cooked in the hot broth. The noodles stay al dente the entire time. The broth is even more condensed, rich, and fatty than regular ramen broth because you are supposed to just dip everything in it rather than drink it from the spoon. The pork belly was super fatty, which I enjoyed because I don’t like eating lean meat when I eat ramen. I feel like half an egg is a little skimpy and I wish they would have just given a whole egg. Eating this style of ramen is more time consuming than a regular bowl because of the dipping process and I kept splattering myself with broth. 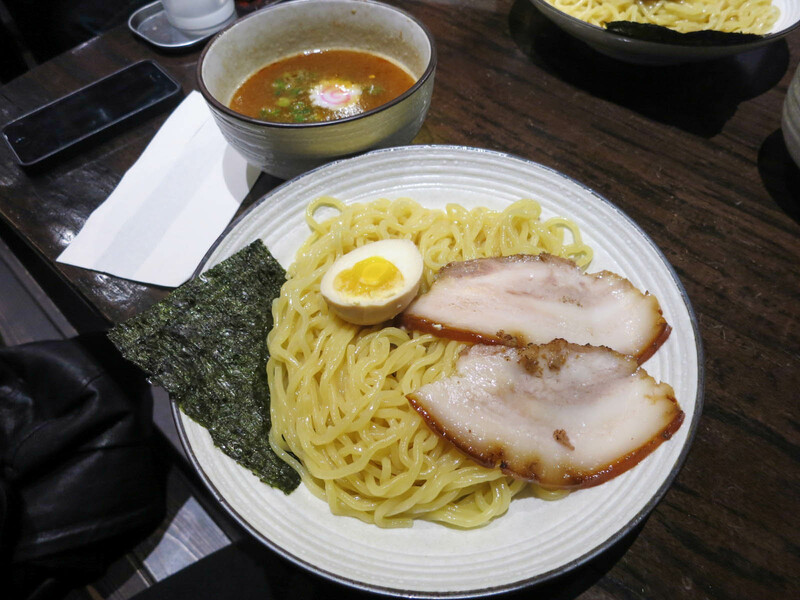 This style of ramen was fun to try and kept the noodles at perfect consistency, but it didn’t take the spot for my favourite ramen place. I’ve been thinking of going to this place. Now I’m committed to do so after reading your review.